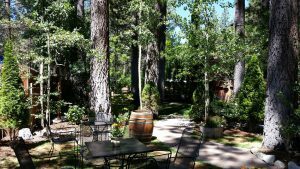 Revive Coffee & Wine provides specialty coffee drinks, local craft beer, local & regional wines, and small plate appetizers in an intimate cottage with storybook gardens. 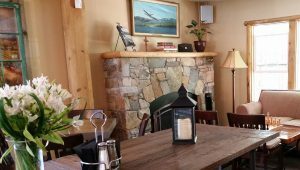 Revive has the perfect blend of relaxing environment and restorative nourishment. The ambiance at Revive is truly unique. 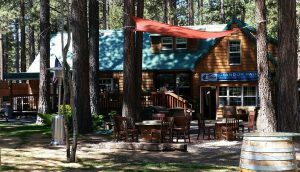 The building is an old Tahoe style house with rock fireplace where patrons can partake in a game of chess while enjoying their drinks. The front gardens have the look of an upscale beer garden, similar to the ones you find along the countryside bicycle routes in Germany. Wine barrel tables and stools are gathered in groups across the landscape, waiting for friends to gather. The rear garden is my favorite. This whimsical oasis travels along a meandering path with groups of patio tables scattered about. Revive Coffee & Wine opened exactly two weeks ago. 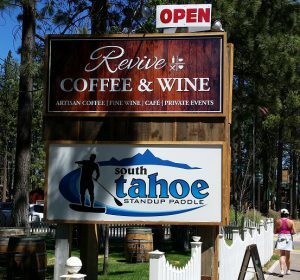 Revive is located at 3135 Harrison Avenue in South Lake Tahoe, along the highway 50 frontage road across from The Campground by the Lake; www.revivecoffeewine.com. 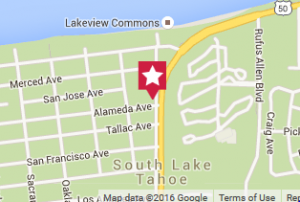 If you are looking a location with charm, friendly service, and quality local food offerings, you’ve found it!